Features 7 day separate daily programs or making things different on weekdays and weekends, it’s easy to find a program that suits your lifestyle. The T6 Pro thermostat learns your temperature cycle to deliver the right temperature when you want it. It automatically switches between heating and cooling to give you a comfortable temperature all the time. The T6 has reminders for changing filters and low batteries, a real-time clock that automatically adjusts for Daylight Savings Time and has temporary and permanent hold settings. Control the Lyric T6 Pro Wi-Fi Thermostat using your smartphone or tablet in your home or while you are out and about. The Lyric T6 Pro Wi-Fi Thermostat is a Wi-Fi connected platform, designed to help make your home smarter and more comfortable than ever. Simplicity and Value That’s Easy To See – And Easy To Program. 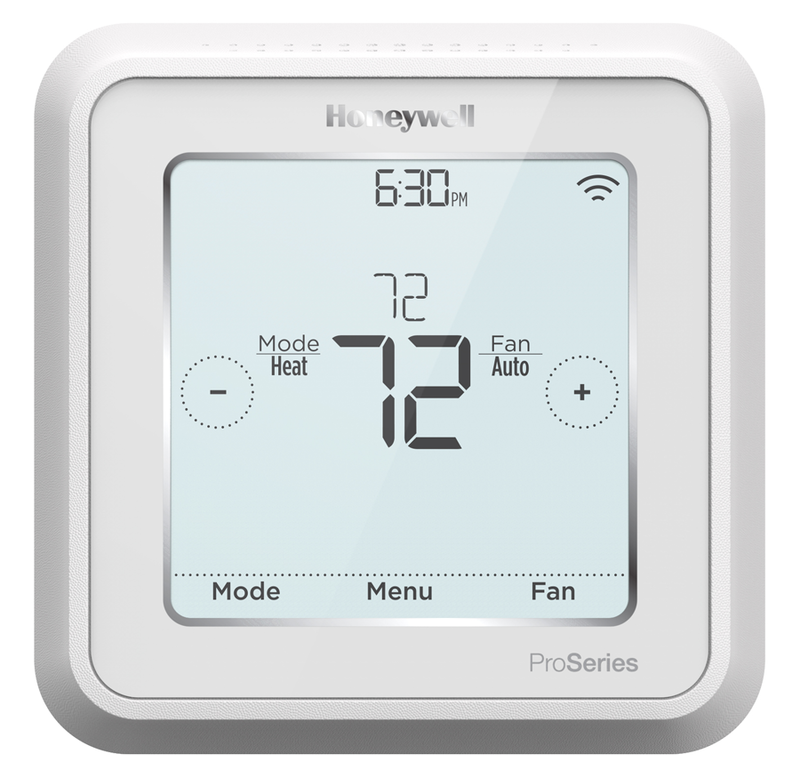 Honeywell’s FocusPRO® 6000 Programmable Thermostat offers the perfect blend of features, performance and value that delivers the highest degree of temperature control accuracy. With the largest backlit screen in its class and an easy-to-read digital display, FocusPRO prominently displays both room and set temperatures. Plus, you’ll enjoy energy savings by setting the simple programming periods to fit your lifestyle. Model Numbers: TH6110D1005, TH6110D1021, TH6220D1002, TH6220D1028, TH6110D1013, TH6110D1039, TH6220D1010, TH6220D1036 and TH6320U1000. *FocusPRO® 6000 models only. 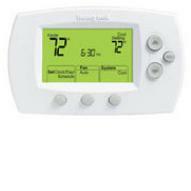 If used as directed, programmable thermostats can save up to 33% on annual heating and cooling costs. Savings may vary depending on geographic region and usage. 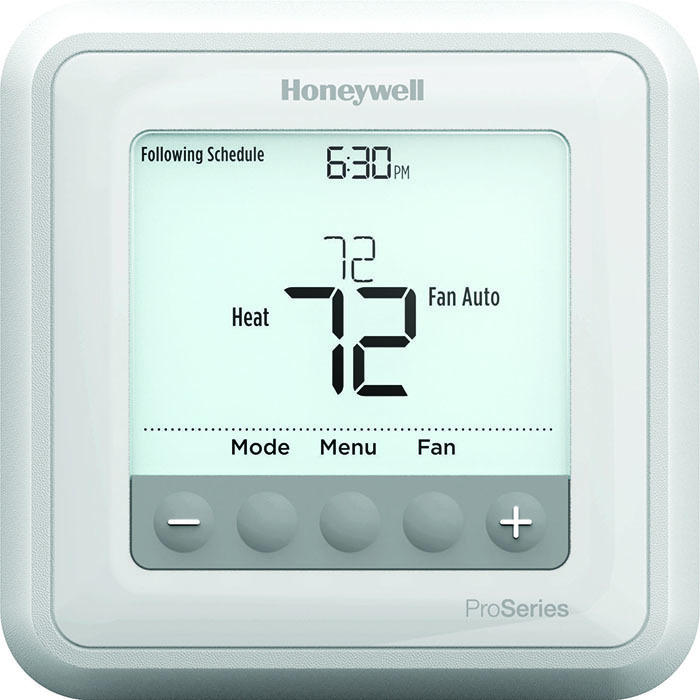 Honeywell’s FocusPRO 5000 digital thermostat offers the perfect blend of features and value that deliver the highest degree of temperature control accuracy. With the largest backlit digital display in its class, plus its simple operation and maintenance, FocusPRO provides homeowners with simplicity and comfort that’s easy to see. The FocusPRO™ non-programmable digital thermostat provides electronic control of 24 Vac conventional and heat pump systems or 750 mV heating systems. Precise comfort control (+/- 1º F) – maintains consistent comfort to the highest level of accuracy.